This page shows how to access Google Issue Tracker. Open one of the following in your web browser. The partner issue tracker is only accessible to users who have been specifically onboarded for work with Google. Partner access instructions. If are not already logged in, log in using your Google account credentials when prompted. These can be a @gmail.com username or password, or the credentials for a Google Account under another domain name. 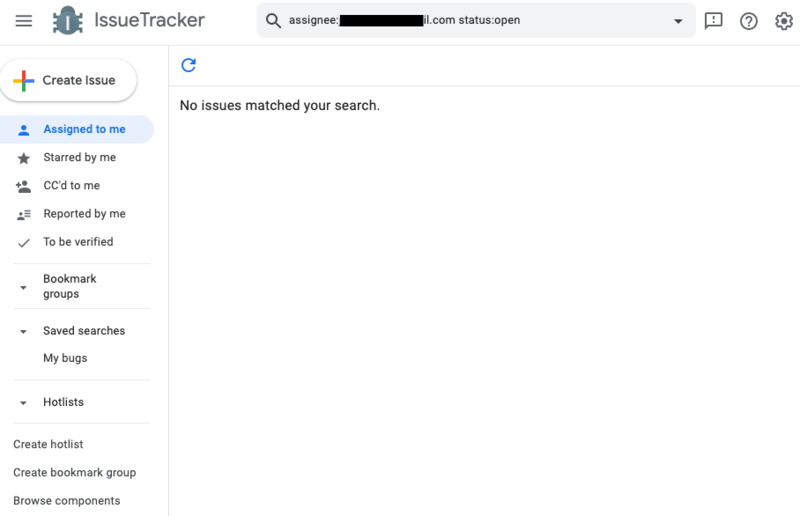 After you have logged in, Issue Tracker displays a list of open issues that are assigned to you. You can set another homepage to change the issues that are displayed.